The surprising part? I like them better than nearly any other brownie I’ve eaten. The prep is straightforward, though I’d urge caution with your beet grating. Speaking from experience, grating your finger instead of the intended object is highly unpleasant. My slow grating meant that this step took nearly as long as baking the brownies themselves. When I first pulled the pan from the oven, I erred on the side of a moist appearance instead of a dry one, assuming they’d set as they cooled. 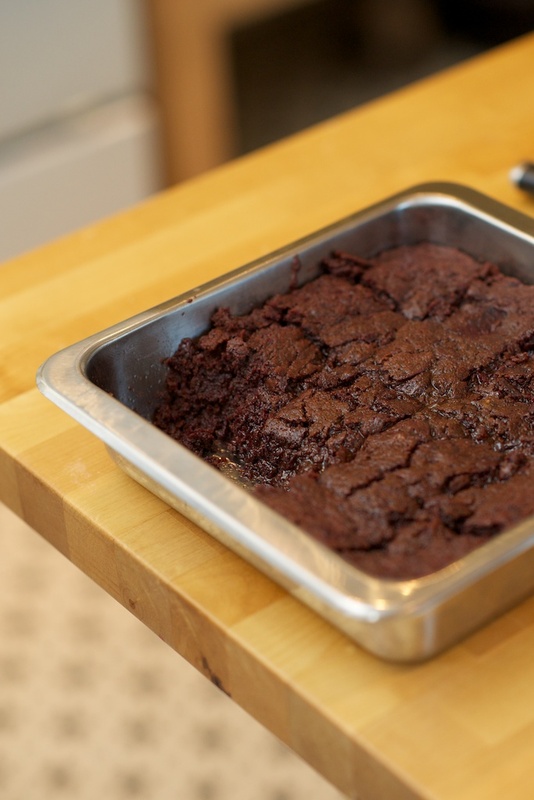 These aren’t the kind of brownies you cut into neat squares and take with you to work: after an hour of cooling, the shape I cut out of the pan was more blob-like than geometric. Shape aside, I love the rich, velvety texture and pink hue that the beets add to this classic dessert. 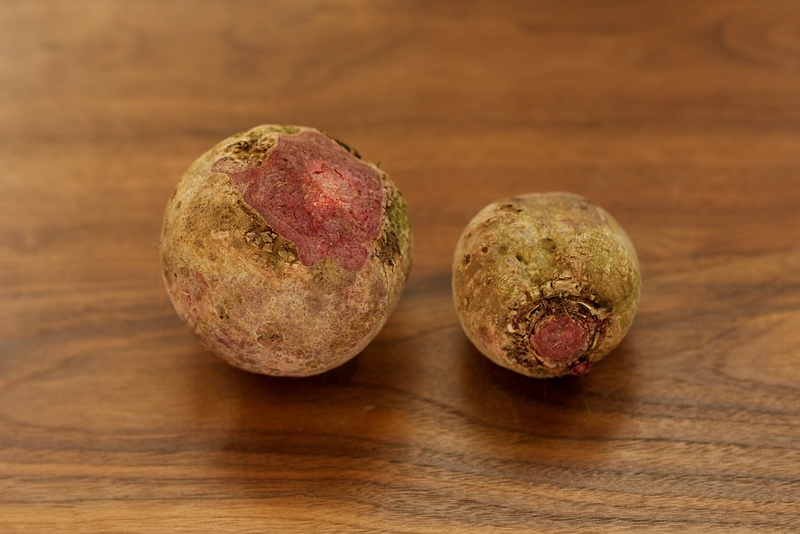 If you have a few beets rumbling around in your refrigerator or root cellar – too few for a meal, but too many to feel comfortable simply composting – bake them into these brownies. That way you can justify your second helping! 1 cup (2 sticks) unsalted butter, cut into cubes. 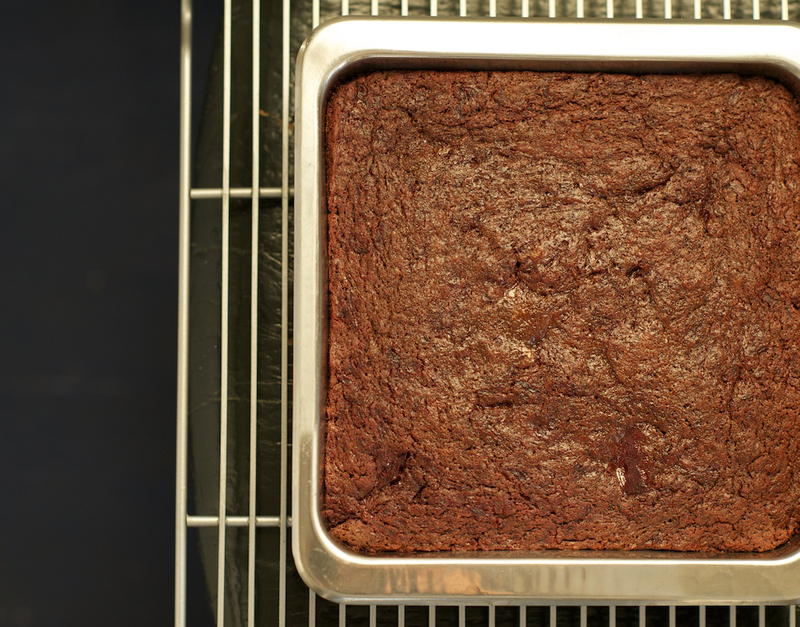 Grease a brownie pan or a similarly shaped shallow baking pan. Preheat the oven to 350ºF. 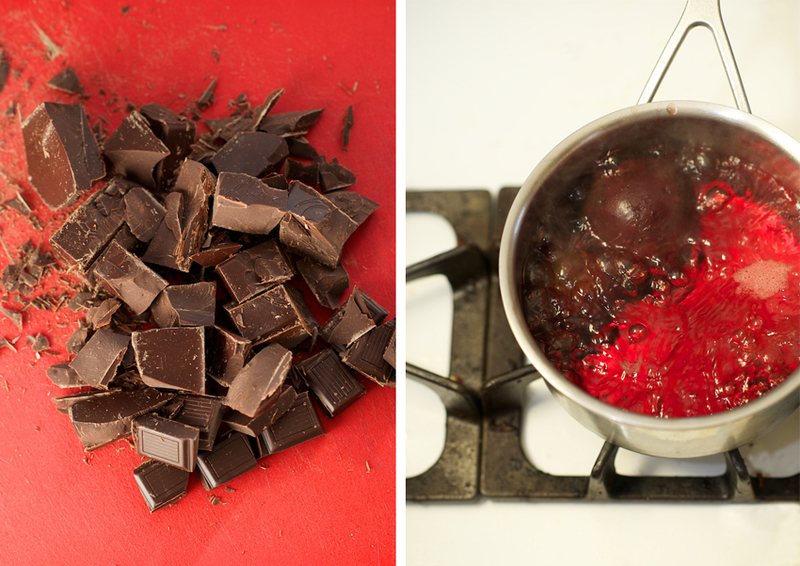 Melt the chocolate and butter together in a double boiler, stirring to combine. Whisk the eggs and sugar together in a large bowl until combined (or gently in your KitchenAid), then beat int he melted chocolate and butter until smooth. Combine the salt with the flour, sift them over the chocolate mixture, then gently fold in with a large spoon. 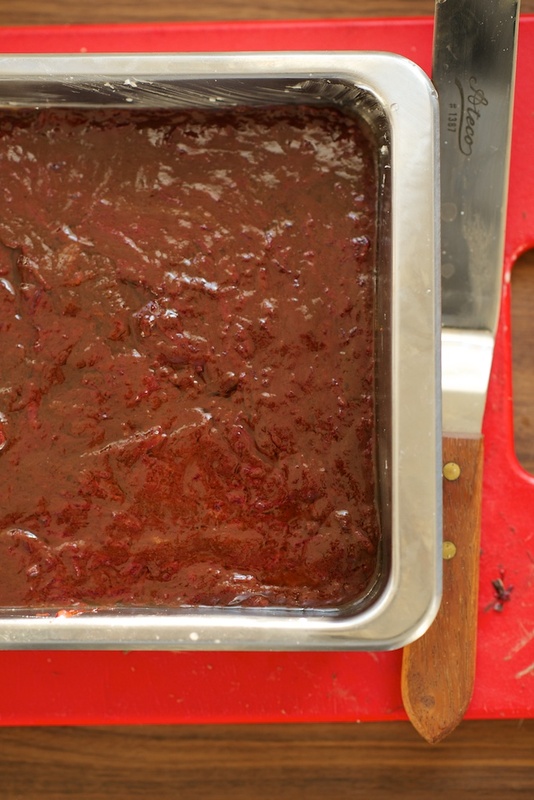 Fold in the grated beets – be careful not to overmix or it will make the brownies tough. Pour the mixture into the prepared pan and smooth the top. Bake for 20-25 minutes, until a tester inserted in the center comes back with a few crumbs clinging to it. Remove the pan from the oven and let cool on a wire rack before cutting. Enjoy!